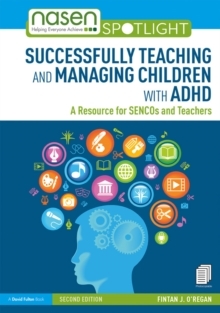 This accessible, practical handbook provides essential guidance to SENCOs in sixth forms and colleges of further education on how to manage the support of students with additional needs, and how to work with their colleagues, students' families and external professionals to co-ordinate effective provision. As a result of the revised Code of Practice 0-25 years (2015) it has been necessary for the FE sector to develop a new approach to the responsibility for, and support of, students with learning difficulties and disabilities. With up-to-date information on supporting and taking responsibility for learners with SEN and disabilities, this book offers practical advice and guidance on:* The expectations of Further Education colleges and an overview of the learning difficulties/disabilities that they may need to support;* assessment methods and the importance of consistent, ongoing vigilance and analysis;* the roles, responsibilities and staff specialism involved in providing different support for different needs;* requesting and reviewing Education, Health and Care Plans;* working with families, carers, schools and other external professionals;* planning for the onward transition of a learner's further education experience. 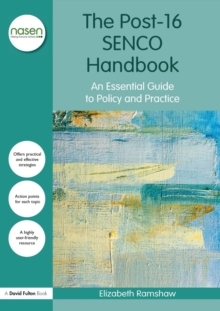 The Post-16 SENCO Handbook will be essential reading for those involved with provision for post-16 students with additional learning needs who want to deepen their knowledge and enhance their practice.